In business for almost 1 year, the Branson Cigar Company calls the Grand Village Shops in Branson, Mo. home. Owner, Jeff Seay has been serving Branson businesses for 25 years through his companies, Branson Security & Fire and Branson Fire Extinguisher. However, in 2013, like many of the tourists that come to Branson, Mo., he decided to take a motor home vacation down the East Coast of the US from New York to Key West. What he discovered in every tourist town was that there was always a cigar shop. When he returned home, he quickly went to work developing his own Cigar Store. The Branson Cigar Company is a Humi-Store, which means that the entire store is totally humidified using a medical grade humidifier. The shop maintains a temperature of 70 degrees with 70% humidity. This keeps the inventory of cigars fresh. And speaking of cigars, The Branson Cigar Co. carries cigars from all over the world, including places like Nicaragua, Ecuador, and the Dominican Republic. Now, on November 1, 2014, the Branson Cigar Company will celebrate 1 year in business. “I have always served the businesses that serve the tourists. Now, I get to serve the tourists directly and I like that”, says Jeff. Also on November 1, 2014, the Branson Cigar Co will begin carrying a unique line of jewelry made by one of the Cigar Brands, Matt Booth, Room 101 Brand. This Cigar store at the Grand Village will be the ONLY store in Southwest Missouri to carry this new exclusive jewelry line for men which has been worn by celebrities all over the US. 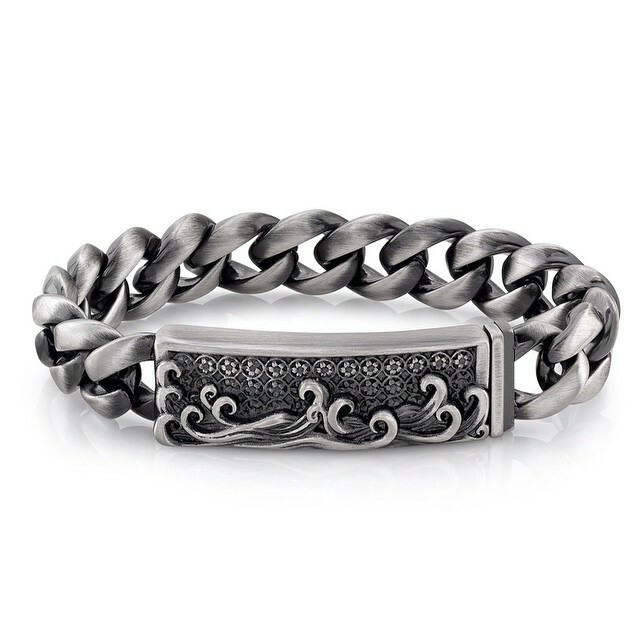 This rugged and trendy line includes bracelets, necklaces, dog tags, and cufflinks. Jeff and his team are excited to be celebrating their 1st year in business and hope that you will celebrate with them. Previous PostGrand Glitz – Where Unique is NormalNext PostMeet Russ and Diane – Owners of Dickens Gift Shoppe!